Several months ago, Walt Disney World announced that they would debut an experience at Animal Kingdom based on the Wilderness Explorers from the Disney-PIXAR film UP. While we looked for signs of the attraction being installed over the last few months, we were not able to find anything around the park. While there was no apparent work taking place, quietly over the last several days some props and signage were installed for the game and it turned out to be somewhat more substantial that we thought it would be. The Wilderness Explorers game officially opened to guests on June 1st and we were on the scene to check it out. The headquarters for the attraction is located on the bridge to Discovery Island from the Oasis, so guests will have to pass it when entering the park. 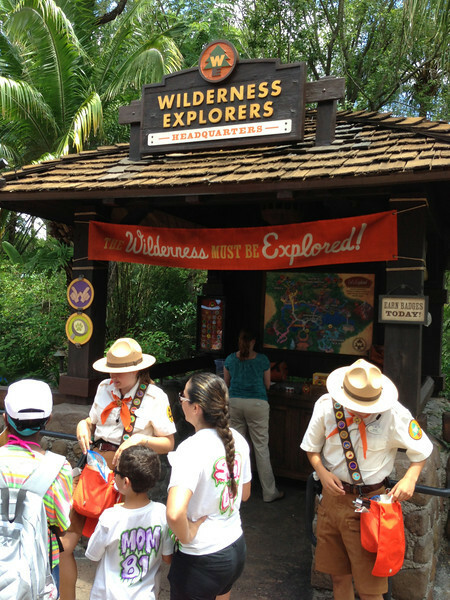 Unlike a Sorcerers of the Magic Kingdom or Pirate’s Adventure game, the Wilderness Explorers activities take place throughout the park and inside attractions, so it is more of a companion to the park than a standalone experience. This is a huge advantage for the attraction as most guests with children will find a day’s worth of activities to entertain them while they visit all of the spots they had already planned to for their day at Animal Kingdom. The disadvantage is that the attraction is not a linear adventure, so it won’t engross older guests like the more kiosk-based games at the other parks. 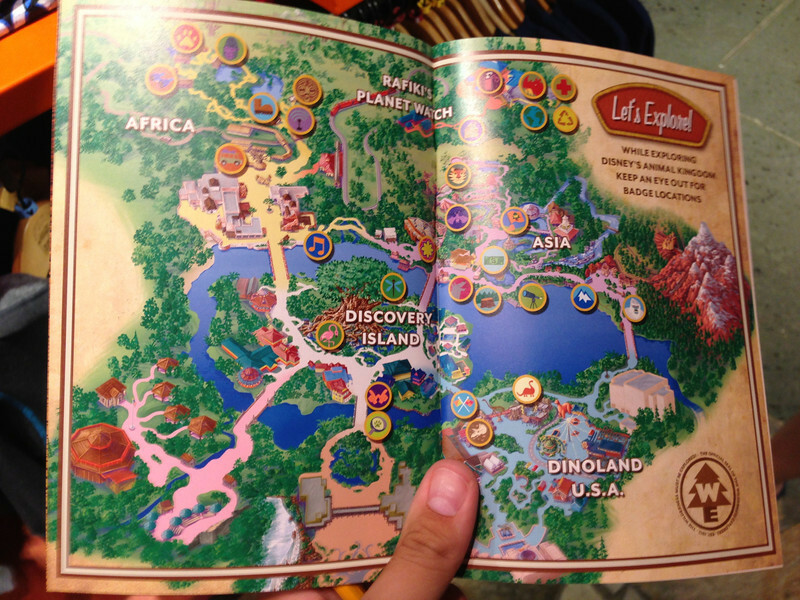 That being said, as an older guests, I thought it was fun to use the Wilderness Explorers book to explore some corners or places in the park I often did not go to. 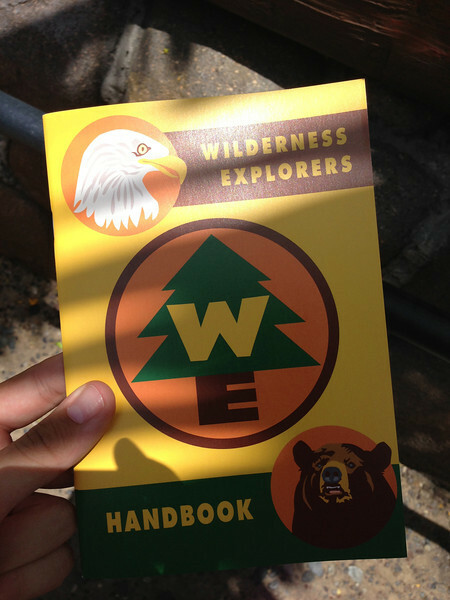 Guests are given a Wilderness Explorers handbook and a pencil when they stop by the headquarters on Discovery Island (they do have the book and pencils at other spots through the park in case guests somehow miss it in the front). 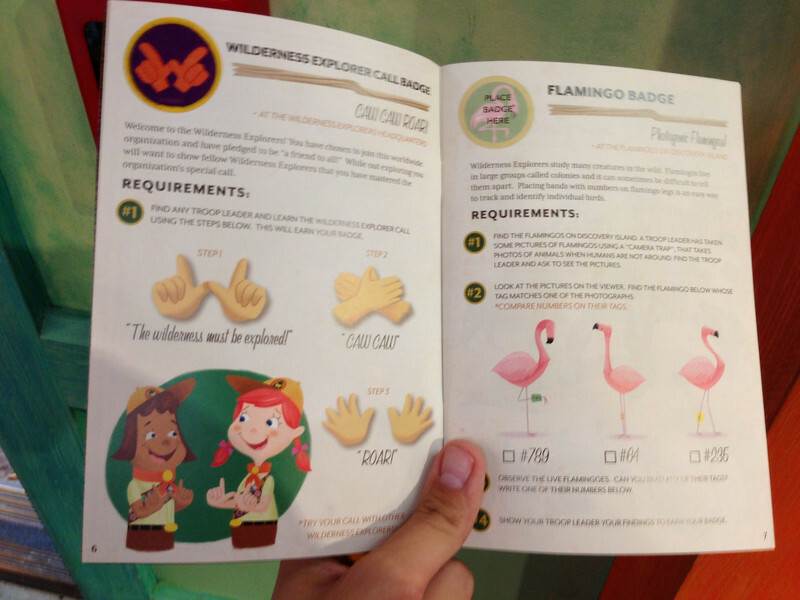 This book has all 31 of the activities that guests can complete to receive sticker badges around the park. The book also includes the map to all of the locations. A select few locations have 2 or more badges for guests to obtain. Notice there are no badges to obtain in Camp Minnie-Mickey as it will be closing for the AVATAR project very soon. Some activities are more extensive than others. The first badge only requires you to learn the Wilderness Explorers call, but other tasks will have you searching all around an area in the park like a scavenger hunt. In fact, some questions were reminiscent of those we were given at the D23 Scavenger Hunt at Animal Kingdom a few years ago. For example, a task in Asia required us to count the carvings of the Yeti that the villagers had made in the area in front of Expedition Everest. Another task asked us to find the only non-dinosaur buried at the Boneyard in Dinoland. The badge-earning locations are very clearly marked with the Wilderness Explorers logo and the design of the corresponding badge. The cast members at each location have a satchel with real, sewn badges on the strap so you can find them. Each bag has the corresponding badge from the location on them, which I thought was a nice touch. Some locations do have some new props and devices to help engage guests in the experience. 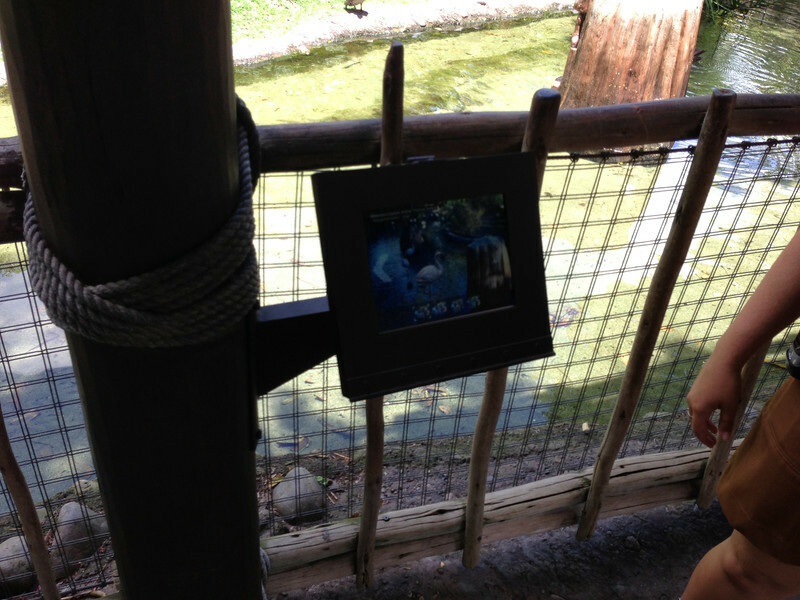 Here, a touchscreen with pictures of the flamingos guests need to locate for their task is used as a guide. 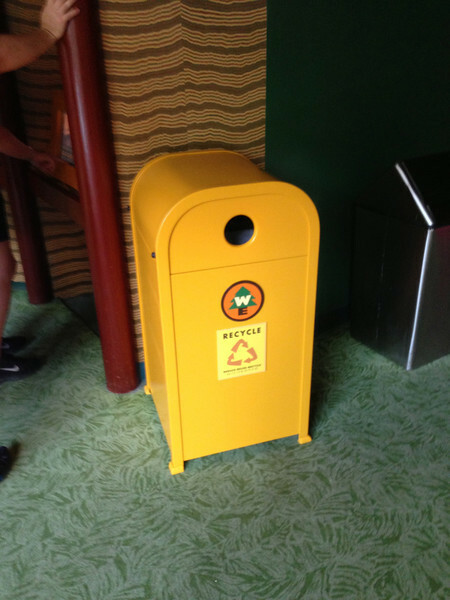 Another example: The recycling badge utilizes a Wilderness Explorers’ recycling bin. Some new props on a bulletin board help teach guests about Tigers in Asia. 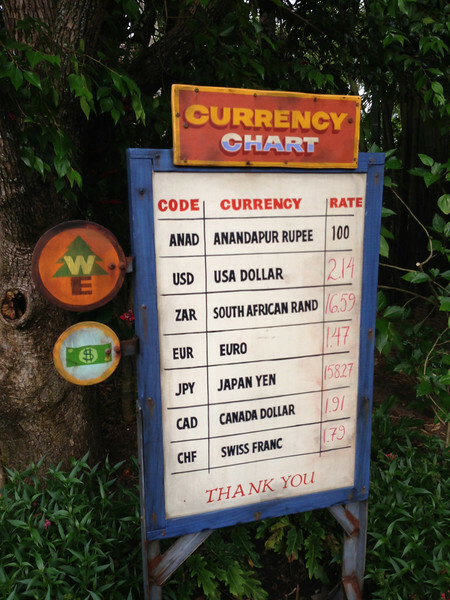 A currency chart in Asia is used to teach guests about converting currency. Overall, the experience was a lot of fun. The cast members staffing it were for the most part very excited and couldn’t wait to help guests learn about the animals in the park. 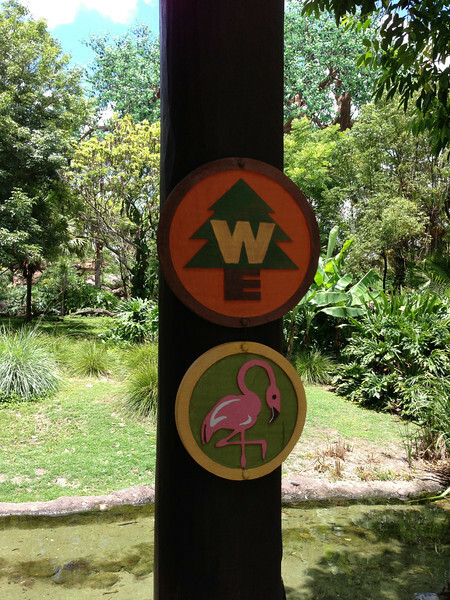 Often guests run from attraction to attraction and miss a lot of the animal attractions at Animal Kingdom, so this is a very smart way to engage them and get them to see and care about these important pieces of the park. More so than Sorcerers of the Magic Kingdom, A Pirate’s Adventure, or even World Showcase Adventure, this attraction forever changes how guests will experience the park. By using a concept from a film guests are familiar with and the promise of badges for completing tasks, Disney has found a very effective way to force guests to visit other attractions and learn things from the well-informed cast that the park boasts. Animal Kingdom is an often overlooked park because of the lack of normal theme park attractions it offers, but there is more than enough to experience and see in the park to make it a near full-day experience for a first-time guest. Wilderness Explorers is a simple,. 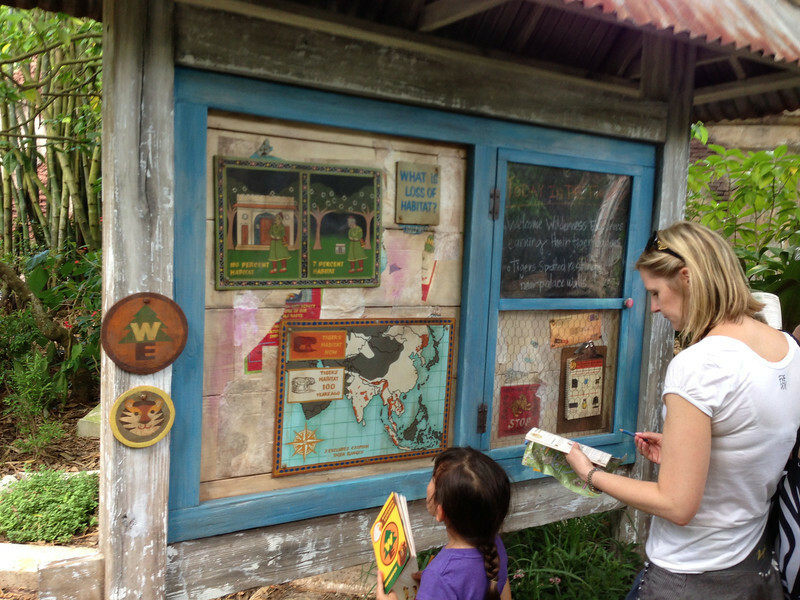 brilliant, and fun way to ensure guests get the full experience of Disney’s Animal Kingdom. 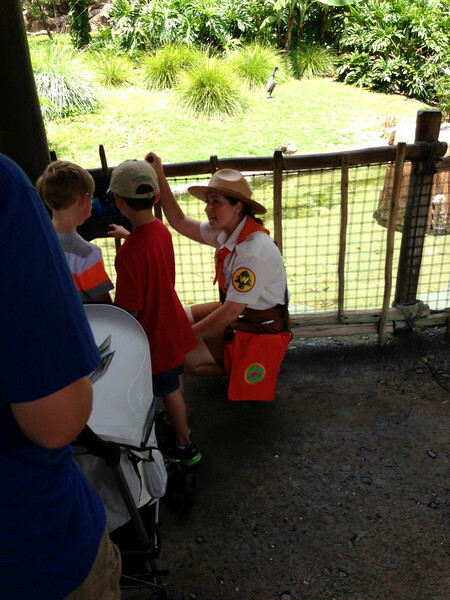 So, what do you think of Wilderness Explorers at Animal Kingdom? Will you experience this on your next visit to the park? Why or why not? What do the "badges" look like? I loved this. It was a good way to really make us look around the Animal Kingdom. The badges are stickers that go in the book, like the purple sticker in the 4th picture. I am very excited to try this. Not only for me but my 7 year old too :) They have a similar one at DL, but only Redwood Creek Challenge. I like that this one encompasses the entire park. Animal Kingdom a "nearly full day experience for 1st time guests"?? I'm not a 1st time guest, I have been 12 times, and on my latest trip earlier this month, I was there for 6 days. I visited Animal Kingdom for two half days, and I barely did anything in that amount of time! You could be at that park I think for at least 3 or 4 full days and not do everything, especially if you are a first time guest!